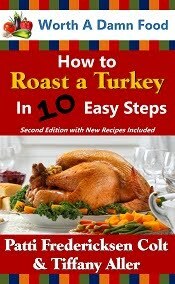 Looking for an easy roast recipe that you can toss in the crockpot in the morning and have ready to eat that evening? Look no further! 1. Place your roast in the center of your crock pot. 3. In a separate bowl, whisk together the 3 powdered mixes and 2 cups of chicken broth. 4. Pour the mixture over the roast and veggies. 5. Pour A-1 over roast to cover the top only. 6. Heat in your crockpot on low for 6-8 hours or on high for 4-6 hours. 7. Once the meat is cooked, flip the roast upside down. This takes the A-1 off the top and mixes it with the juices that will become your gravy. 8. Remove the roast and veggies to a separate platter. 9. Pour the juices into a grease separator to pull the fat from the broth. 10. Pour the broth in a small sauce pan. Heat to a simmer and slowly whisk in flour to thicken. Use as much flour as necessary to get to your desired consistency. Dinner's ready! Serve meat and veggies with a healthy serving of gravy and prepare to have your taste buds wowed! 1. Put chicken breasts in bottom of crockpot. 2. Add brown sugar and garlic powder. 3. Empty BBQ sauce over the top. Mix slightly to absorb dry ingredients. 4. 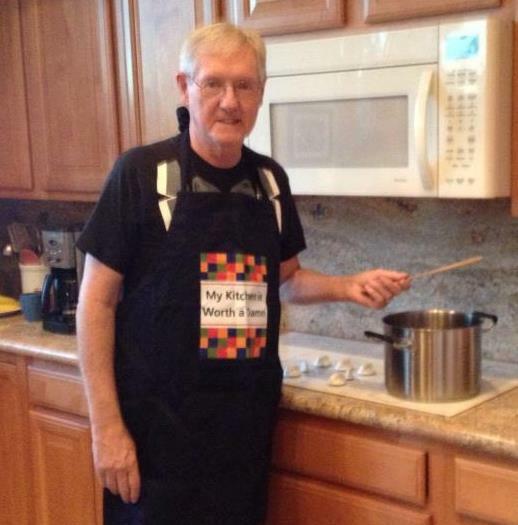 Cook for 4-5 hours on high or 7-8 hours on high. 1. We used Kraft Sweet Honey Barbecue Sauce, but any flavor would work well. This recipe is almost foolproof no matter what flavor you use. 2. We cooked on high for 2 hours, then turned it down to low for 4 more to simmer in the flavor. 1. Place diced onions in the bottom of crockpot. 2. Salt and pepper pork chops. Place the pork chops in the bottom of your crockpot. 3. Mix the beef broth, cream of mushroom soup, cream of chicken soup and onion soup mix in another bowl and then pour mixture over the pork chops. 4. Lift pork chops to ensure the liquids are evenly distributed around the meat. 5. Cook on high for 4-5 hours; cook on low for 7-8 hours. 1. A smaller crockpot will handle 4 chops nicely. A larger crockpot can handle 6. 2. Serve with rice or mashed potatoes. 1. Line the interior of your crockpot with foil. 2. Fry 8 slices of bacon and set aside to cool. 3. Put 3 Tablespoons butter in the crockpot. 4. Quarter the red potatoes and fill the crockpot 2/3 full. 5. Crumble the bacon on top of the potatoes. 6. Add the Ranch Salad Dressing Seasoning. 7. Put 1 1/2 cups of cheddar cheese on top. 8. Lightly mix the contents. 9. Put the lid on the crockpot and cook on high for 4 hours or low for 8 hours. 2. Don't skip the foil step - it helps the potatoes cook. No need to be fussy about how the foil fits into the crockpot either. 1. Heat olive oil in fry pan. Fry onion for 2 minutes. Add Minced Garlic. Fry both until onion just begins to caramelize. Remove and scrape contents into a stock pot. 2. Add broth and milk (and water, see below). Heat to boiling. Dice cheese into no bigger than 1" blocks square. Add cheese into boiling stock pot stirring frequently. Add spices and reduce heat way down to simmer. Direct heat on the pot will burn cheese to the bottom. Prepare to stir every 2-4 minutes or place a diffuser between the heat source and the pot if using a stove. Moving to a crock pot to finish is also a good way to keep the soup from burning. 3. Add broccoli or potatoes and allow to cook approximately 45 - 90 minutes on low heat. 4. If thickening is required, use the puree technique. Soup will also thicken as it cools. Once cool, if too thick, add milk or water to the mixture. This is one of those recipes that the more we make it, the more we tweak it. A whole lot of this recipe depends on how you like your creamy soups. If you like it with slightly more liquid, add the 1-2 cups of water. If you don't, omit that ingredient and use only a bit as needed to keep the soup from getting too thick. Also note if you use 2 cups of water in addition to the other liquids, it will take longer than the 45 minutes listed in #3 to reduce. Average is about 1.5 hours. Be prepared to follow the thickening technique noted above if necessary. 1. Absolutely don't substitute regular cheese for the Velvetta. It doesn't melt like Velvetta and needs a cream sauce to give this soup the volume and texture it needs. 2. You can substitute potatoes for the broccoli and have a great potato soup too. Chop the potatoes into small pieces and cook in a separate saucepan until soft. You can also make a combo broccoli potato soup or add celery and diced carrots, too. This is one recipe that's adaptable to however you like your soups. 3. You can put the soup into a crockpot after the cheese is melted and it can simmer on warm for as long as necessary. 4. This soup also freezes well if you'd like to save portions for lunches or other meals.